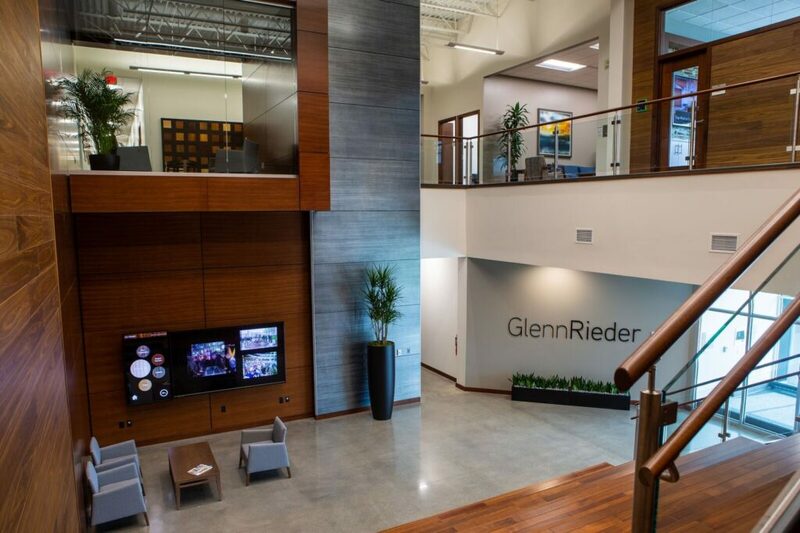 On March 2nd Glenn Rieder moved into their newly built 120,000-square-foot headquarters located on Becher Place in West Allis, Wisconsin. The 30,000 sq. ft. office portion of the building features incredible lunchroom with kitchen, collaborate works spaces, fitness center, and large windows with views of their pond, Miller Park and Milwaukee Downtown. The impressive 90,000 sq. ft. manufacturing shop features new computer operated finish line with automated cart system, 5-Axis CNC, portable computerized touchscreen workbenches to allow for electronic drawings, and new modern dust collector system.